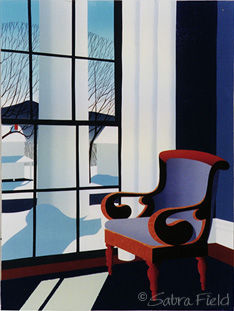 From inside the glorious Greek Revival Hotel in Manchester Center, Vermont, you see the village and the mountain. Each enhances the other. Framed 26" x 20", Unframed 19" x 13"